I’m a longtime fan of Alana Chernila’s blog: Eating from the Ground Up. I adore the way she weaves together tales of food and family, and I was thrilled tp learn she was writing a cookbook. I knew it was going to be special. Within moments of opening The Homemade Pantry: 101 Foods You Can Stop Buying and Start Making , I gave in to the fact that I wouldn’t be putting it down for the rest of the day: I read it cover to cover. The book made me smile many times, and it also made me cry. But most of all, it made me want to cook the kinds of things I haven’t been making time for lately: recipes that require slowing down…and making a mess. Alana’s got you covered with recipes for everything from homemade dairy products (ex. ricotta and cream cheese) to condiments (ex. ketchup and mustard) to frozen foods (ex. pizza and fish sticks) to candy and sweet treats (ex. peanut butter cups and fig bars). So far I have made the lemonade, the cornbread, the hamburger buns, and the vanilla pudding (seen in my photos here). Everything’s been delicious, and I have MANY other recipes tagged to try soon: I am particularly looking forward to Alana’s lasagna because it’s a compilation of homemade tomato sauce, homemade ricotta and mozzarella cheeses, and homemade fresh pasta (the recipes for which are all in the book). Alana’s recipes are creative, fun, nostalgic, and wholesome, and Jennifer May did a beautiful job with the numerous shots of food that simply beg to be eaten (as well as the sweet glimpses into Alana’s kitchen and family life). But it’s the essays accompanying each recipe that really sealed the deal for me. Longer than typical recipe headnotes, and each more beautifully written than the one before (if that’s possible), these stories make the book shine. I've always loved pudding but I don't make it very often. Alana's recipe is simple and perfect, and my kids and I kind of went crazy for it. Make sure to try it topped with fresh berries. 1. Combine 3 cups of the milk with the sugar and salt in a heavy-bottomed medium saucepan and set it over medium-low heat. If you are using the vanilla bean, scrape out the seeds, put them in the milk, and add the whole bean heat until just steaming, stirring frequently. 2. In a small bowl or measuring cup, combine the cornstarch with the remaining 1 cup of milk. Stir well until the mixture is fairly lump free. Take the vanilla bean out of the pot and rinse it off. (Don't discard it- shove it into your homemade Vanilla Extract). Raise the heat to medium-high. Add the cornstarch mixture and cook, stirring constantly with a wooden spoon, until the mixture just starts to bubble. Reduce the heat to low and stir continuously until the mixture thickens to somewhat look like pudding and coats the back of a spoon, 5-7 minutes. Add vanilla extract, if using. If the pudding us a bit watery, it's okay. It will thicken further as it chills. 3. Pour the pudding into individual dishes and chill for at least 3 hours before serving. If you have an aversion to pudding skin, press plastic wrap against the surface. Reprinted with permission from The Homemade Pantry: 101 Foods You Can Stop Buying and Start Making by Alana Chernila. Photographs by Jennifer May. Copyright 2012 by Clarkson Potter. If you’d like to win 1 of 3 copies of The Homemade Pantry, please leave a comment below before Tuesday, April 17, 2012 at midnight EST. I will pick a winner via random.org sometime on Wednesday, April 18th, 2012. This giveaway is only open to US residents and I must have your email in order to notify you if you win. Good luck! After seeing this recipe, I DEFINITELY want to win a copy! I made my first custard this week and had a blast doing it. Now, I just want to eat a big bowl of it with some fresh blackberries on top. I would love, love, love to win a copy of this cook book! I am making changes in my lifestyle to return my health…and that means….no more packaged foods! This looks like a wonderful resource! The fact that is has this wonderful pudding recipe in it….well…who wouldn’t want one! I’m so drawn to making my own versions of so many store bought items – I’d love to actually try some of those recipes out! I love the idea of this. Count me in for a chance to win please! Mmmmm…puddings always take me back to my childhood! Would love to be able to make more of the recipes in this cookbook and add it to my collection.Thanks for the opportunity…. And wouldn’t you know, I actually have blackberries in the fridge right now. Until now, I did not know there destiny would involve crowing a bowl of vanilla pudding. Would love to see what else this cookbook has in store. I’d love to win a copy of this book, which sounds amazing, and perhaps even make this vanilla pudding (though your avocado panna cotta also just caught my eye)! This book has been on my Amazon wishlist since I first saw it, would love to win it! Homemade cream cheese sounds great. I would love to try making it. Thanks for the awesome giveaway! I love real cooking, with real ingredients. My mother made homemade puddings and custards so many years ago. I must have that book! The photographs are beautiful. I hope I win it – because I will definitely try the recipes. Sounds like a fabulous cookbook. Would love to win one! Might have to buy it if I don’t. That book sounds amazing. I would love to win a copy. In the meantime, I think I’ll make some pudding…. Would love to win a copy! The recipes sound amazing! I haven’t run across this book yet, but sounds like a wonderful addition to my shelves. Thanks for sharing! I would love to win the Homemade Pantry cookbooks! Is that utensil poking through a delicate little spoon? I love how dainty and decorative! Would love to page through Alana’s book — she’s wonderful. I am trying this pudding recipe! I hadn’t heard of this cookbook, but it sounds like my cup of tea! Homemade ricotta has been on my “to make” list for awhile. I’d love to win a copy of this one. The recipe sounds and looks great. Thanks for the chance. I love this concept for a cookbook. I’d really like to win this one! Oh, that sounds amazing! I’m trying so hard to make the switch and cook everything from scratch, including pasta and condiments. This would be perfect for me! Mmmmm, I’ve been cutting out processed foods, and this sounds like I need a copy! 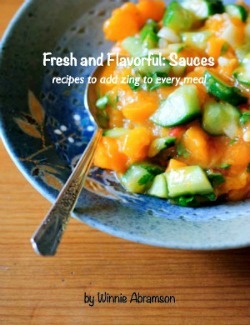 This would be a fabulous addition to my pantry & cookbooks! Enter me please! Thanks Winnie. Beautiful pictures! Comfort food at its best! The photo is yummy looking! Thanks for the opportunity to enter. I need something to kick start me back into the kitchen and cooking. This could be it. I’ve made a few changes in the kitchen this year – stopped buying bread, stock, and prepackaged chicken parts. I’ve been baking my own bread, buying whole chickens and using every bit of the bird. On my to-do list is homemade tofu and Ricotta in addition to a few other things. This book would be a perfect addition to my collection! i’d love to get the cookbook. love them. Love the idea of this book! So many things we use everyday are so easily made – more healthfully and deliciously – at home! I would LOVE to win a copy of this book! Sounds like the author is far ahead on a journey that I myself wish to travel. This book is right up my alley! If I don’t win it, I’m for sure going to buy it! PS, you’re blog is fantastic. Thanks for being informative. Thanks for the opportunity. I’m loving the process of learning how to make more and more of my own food from scratch. This sounds like the perfect cookbook to add to my humble collection! Thanks for the chance to win. What beautiful photos! 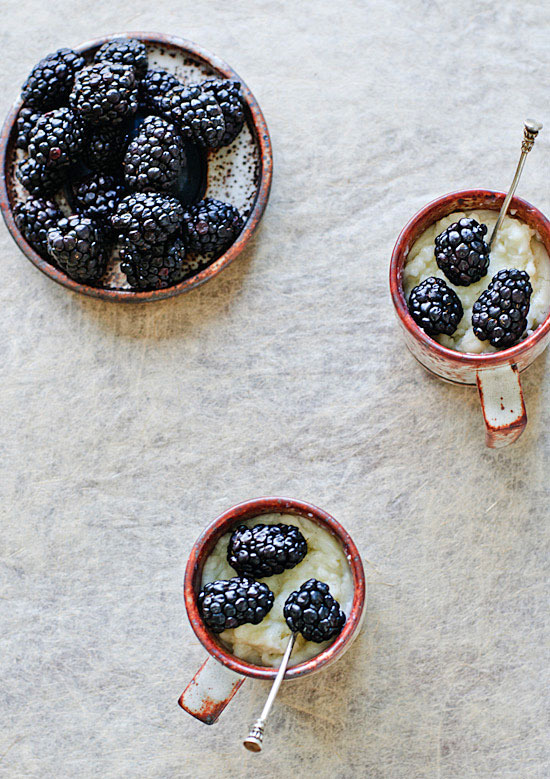 The custard looks so inviting and those plump blackberries are irresistible. Would love to take the book for a spin. 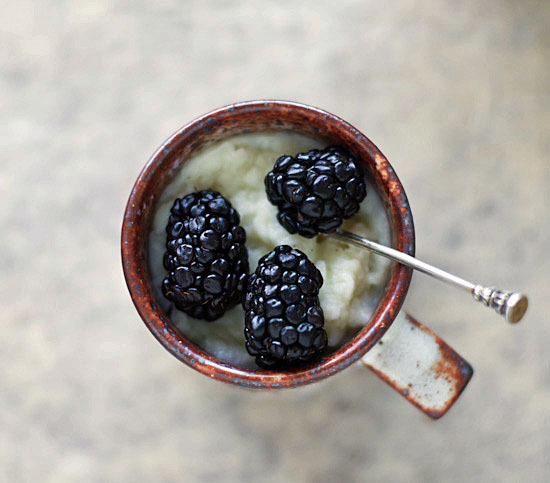 This pudding and the nice, plump blackberries look delicious! I would love to win this book – I’m in the process of re-organizing my pantry and this would make a great addition! This vanilla pudding looks delicious. I bet the other recipes in the book are just as awesome. I really feel like this cook book was written for me! I have been making the transition to whole foods eating and stopped buying processed food. I would love to try some new recipes! This book sounds wonderful – will be buying it if I don’t win! Thanks for the opportunity. So glad I found your blog too! 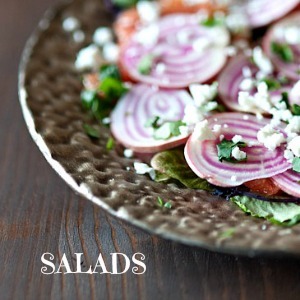 great looking recipe – can’t wait to try it myself! Always looking for ways to make more of the staples at home — this looks like a wonderful resource, and beautiful too! Thanks for the opportunity to win this cookbook! It looks fantastic! OHMYGOSH that book sounds like the answer to my prayers! My resolution for this year is to make more things from scratch, & I think I’m doing pretty well. Your review of this book is enough to keep me trying, & the idea of possibly having an actual copy would be inspirational. just found out about Alana’s book and can’t wait! So cool! Book sounds really yummy! I love Alana’s blog; can’t wait to read the book! Lovely vanilla pudding recipe and the books seems as lovely as the recipe! This sounds like just my type of book. I just might have to “secret” it to myself this week. Thanks and trying your chia pudding for the first time tomorrow morning. I will let you know how my little guys like it! I can’t wait to check out this book. I’ve been eyeing this book for a while. I’d love to win a copy! My sister and I are planning on trying cheese making as our new project for this summer (to go with the jam and pickles that we already make – as well as all the other random things that come out of our kitchen). This looks like it would have some good recipes to make with our homemade cheese. Should be fun. I would LOVE to win a copy of that cookbook! The pudding looks excellent and I want to try the granola bars ASAP! The cookbook (and the pudding!) look amazing!! This book looks great. It would fit in perfectly with the changes we are making in our lives. Thanks for the chance to win. I saw the recipe for granola on another blog, and so between that and the recipes that you taked about, I am definitely intrigued and would LOVE to win a copy! Thanks so much for the giveaway, I hope one day I will also be able to craft my own delicious recipes from scratch! This books sounds great, I am almost entirely making things from scratch these days so this book is right up my alley. That pudding looks sooo delicious!! I can’t wait for some fresh summer berries to put on top! Lovely! I saw this on Food in Jars and had to jump right over. This cookbook sounds so lovely! Thank you for reviewing this book. It was mentioned in one of my magazines and sounded so good, it immediately went on my want list. I would love to get a copy of this book! I’m excited to try this pudding recipe, as well as her granola bars. They look so good! A vanilla pudding recipe, brilliant! It’s so simple, but I’ve seen so many chocolate pudding recipes in the recent years and no one cares about vanilla. But I love it. And this book looks amazing. With three little ones at home I’m always looking for ways to cut down on pre-packaged food. This cookbook looks like just the thing! Trying to get back to cooking from scratch. Count me in, I am so into simple and homemade food! Wow, this sounds like a wealth of information in one book. Cant wait to try these recipes! 4 times in the last 3 days have I been introduced to this book! I NEED THIS BOOK!! So glad there are *real* people writing cookbooks with *real* recipes using ingredients that normal people have in their kitchens. I love your ceramic cups for serving the pudding – it looks beautiful. This cookbook sounds like a must-have for my kitchen! I would love to win a copy of this book. That vanilla pudding recipe looks wonderful and Food In Jars was telling us about the granola bars recipe in the book that would wonderful too! I have been downsizing my cookbook collection, but this looks lovely and like a cookbook that would get much use. I would love this cookbook. I hope I win it! OMG!!! I WANT THIS COOKBOOK!!! Even if I don’t win one, I am going to buy it!!! I have been slowly moving in this direction this past year and making my own basics. My hubby is not on the wholewheat bus yet but, I don’t always tell him what is in stuff anyway and he doesn’t notice when he eats it just that it is a little different! This book sounds amazing! would love to add it to my 120+ cookbook library. What a lovely book, I really like the photos. Sure would like to have this cookbook. What a great book! I am constantly looking for recipes like this. How perfect that they would be put all together in one beautifully bound book! I would love this book. I’m ready to get back to the basics. looks wonderful! i’d love a copy! yum. Looks so easy! I would love to win a copy of her book. Honestly? I had NO idea pudding could be that easy. Between this recipe and the super amazing granola bar recipe over on Food in Jars, this cookbook looks AMAZING. MMM..this book looks dreamy. Thanks for passing along the chance to explore it. And your pudding looks dreamy too! funny how we don’t realize how easy it is to make great tasting things without buying it already made – this looks yummy :) we are really trying to make more healthy choices and become more ‘green’ – this would be a great addition to helping us achieve our goal. thanks for the opportunity! This sounds delicious! I would love this cookbook! I had forgotten how wonderful homemade pudding was till I tried this… brought back memories of my Grandma in her kitchen. I will be doing more homemade again… and this book would be a great place to start. Pick me! Pick me! I would love this book. I just discovered your blog, it is great! I, too, live in the Hudson Valley, and look forward to all the great spring veggies! This cookbooks sounds terrific and I’d love to have a copy! I just found your site today. Love your blog style & the HEALTHY part! Would love to win a cookbook also! I love this! Reading your blog, Alana’s blog and so many others help me become the cook I really want to be; that all-around good, healthy, yummy and as green as possible cook that feeds her family with Good Food. Thank you for the giveaway – keep up the good work, you are an inspiration! Oh – would love to win this! I’ve been making my own yogurt, kombucha, kim chee bread, pasta, etc for the last several years, as well as lots of other things, and would love to expand my repertoire. This book looks like it would be super! This book sounds magical! With my 2nd child on the way, I really have to tighten our budget, but more importantly, I want to make sure that I’m feeding my family foods that are healthy and homemade. This book looks perfect! I am *kind* of obsessed with making stuff that most people buy. This cookbook would be awesome! Wow, that recipe sounds delicious! I would love, love, love a copy of her book! This book looks wonderful, I’d love to win a copy. I’m also adding it to my Paperbackswap wish list! I keep reading about this book and hope to get my hands on a copy. I’m sure it’s my turn to win! This book looks amazing. Crossing my fingers! What a great name for a cookbook! I love the fact that more and more people seem to be getting the idea that processed food isn’t good for you. This book is definetly going on my wish list! YUM!! The book looks amazing. Oh, please, please, please pick me! Sounds like a great book. I’m in! I LOVE coming up with alternatives to store-bought. It sounds like a perfect cook book. Oh Happy Spring! This book will be divine!!! Sounds like something that would be great for little children as well as adults…scrumptious! This book is immediately going on my inter-library loan list, just in case I don’t win a copy. I would love to try out her homemade lasagna noodles. Nothing is quite as gratifying as putting on a table spread all made from your own two hands. My favorite cookbooks are those that teach you through the prose as well as the writing… looking forward to picking this one up sometime soon. Oh…I would love a copy of this cookbook! What a beautiful book! We are always looking to reduce packaged foods in our house, but this goes beyond what I have tried up to this point- things like condiments, crackers, hamburger buns….regardless of if I win, this book has been added to my wish list for sure! Yummy, yummy and more yummy! I’d love to win! 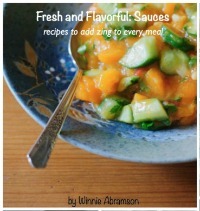 Love your blog and would really enjoy cooking from this book. Thanks for all you do. This sounds like a cookbook that I need on my shelf. heading out to a state park spring festival in Delaware this weekend and will fix the nutty granola car snack for the children to snack on… I’d love to own the book! Where was this book when my kids were little? As I read more about our food chain I want to make more common things that I usually purchase. Would love to give this book a try….. I love these kinds of cookbooks! Thank you for the chance to win one! I would SO love to win a copy of this book – it sounds AWESOME! This is one cookbook I’d really like to check out. This sounds like a must-have cookbook. I’d love to win a copy! WOW! I’ve come across this book in several varied places over the past couple of week and it has hit my ‘gotta have’ list! The book looks both beautiful and useful, which is my very favorite kind of cookbook! I would love to win a copy of this amazing book! I would love a copy of this book! it looks amazing, and the variety of recipes would be a huge benefit to our household eating. Thank you for the opportunity to win this book. It looks amazing! Beautiful blog! I love those little mugs. I’ve read your synopsis and one from another blog _Food in Jars_ and you both have convinced me! I need a copy of this Recipe Book! I love stories! And I love cooking, baking, making! Thanks for the offer! Oh please oh please oh please!!! Can’t wait to try the pudding recipe (and the granola bar recipe!) and would LOVE to have this book to try everything else. Homemade hamburger buns?! Come ON!! I’ve been following Alana online for a while now. As a former (and still at heart) Masshole, I would love to have this cookbook as a way to invite her into my kitchen! This looks delicious! Marisa at FoodInJars made the granola bars too, which also look fabulous. I have just happened upon your site through another site and I am so happy I did. I have been exploring the idea and foods that I can make from scratch but spend tons of money buying it conveniently in the grocery. I have been wanting to put a stop to that and know what I am putting in my mouth. Thank you. Oh how I love homemade pudding! Thanks for sharing the recipe! I found you through Food in Jars and I am very interested in Alana’s book! THanks for the great post and giveaway! I would love to have a copy – we’re trying to be more mindful about what we purchase and what we choose to make for our daughter, and this would be a great addition to our cookbook library! Thanks for tempting me to buy another cookbook! That pudding looks creamy and great. Thanks for sharing the recipe. I would love to win a copy of this book! I love making recipes that “recreate” popular processed foods from the grocery store. I would love to have this book. I make some things at home from scratch now – ricotta, creme fraiche, and cornbread – but I’d like to do more. Looks delish! Love the cookbook format and content. This book is on my wish list! But because we try to live the minimalist life, I cannot buy it right now. I am so glad I found your blog via art and lemons! I’m subscribing now! I’ve joined a CSA and this cookbook is just what I need. Thank you it looks great. Looks AMAZING! Would love a copy of it! I’d love this book. Thanks for giving us all a taste! I would love to have this cookbook. I’m looking forward to making the pudding. My two daughters are into cooking from scratch so I will be sharing your website with them! Wow does that look delicious. May have to do this for dessert tonight. Love custard and love the berries. Would absolutely love a copy of the book! I was sent to this site from the “Food In Jars” blog, and really like what I see here. I also like what I briefly saw of The Homemade Pantry. I would LOVE to own this book. We already make some of our own pantry items and I would be happier if we made more. Looks like wonderful book. I’m vegan, but I can pick recipes that are vegan or adapt the non-vegan recipes to vegan. Hopefully I will get the free copy. If not, I’ll definitely keep an eye out for the book to purchase! I’d love a copy! And I’ll definitely be trying out the pudding recipe. Thanks! Would love to learn how to make pasta and condiments from scratch. Sounds like a great cookbook to own. I would totally love this! Due to weird food allergies in my household a homemade pantry is right up my alley!!! I love this idea and I would love a copy of this book. Like so many others here, I am growing my own garden now, and am a beginner canner. I hope to start making my own cheeses, breads, etc. soon. Very soon. I would love to win a copy! Would love to win a copy of this book…Especially want to try pudding and your avocado panna cotta also caught my eye)! This looks like an amazing book. I am always trying to figure out the recipes for items that I buy a lot – how wonderful to have a resource to turn to instead. Please count me in for this book. Would love to have a copy of the book. Count me in! I’m growing my own veggies and doing my own canning. Love to know what we are eating! This cookbook sounds great. I already want to try the vanilla pudding recipe! Nice post-would love to win a copy! My local library only has 1 copy, boo! I really want to add this book to my home cooking library. I have started eliminating processed foods but find that I am at a loss when trying to replace what I am eliminating with homemade food. We all need to learn how to cook real food again like our grandmothers did! i would love the chance to win this book! i have been trying to make more from scratch and this would definitely be helpful! Sounds like a wonderful book. I’m hearing nothing but raves ….. One way or the other this is a must have! Perfect Mother’s Day gift…to me! I’d love to win this book but between the granola bar recipe and this pudding recipe, which looks divine with those blackberries, I’ll buy it if I don’t. Recipe sounds yummy and would love to be able to win the cookbook! This books sounds like the perfect inspiration for condiments – this year I’m working on learning how to make my own mustard, mayo, and ketchup! I need to learn to make more stuff at home, instead of depending on commercial products. The book sounds lovely. Such an eye opener. Hoping to be self sustaining in the next few years. One step at a time. Classy picture! We have not eaten pudding in years since the journey to healthier foods; never purchasing store bought! My boys deserve to eat healthy and delicious foods = your cookbook! Thanks for the opportunity to win a copy! This book looks simply amazing! This book looks great. I just put it on hold at the library…just in case I don’t win! Would love to win a copy. I’m a “from scratch” cook and love adding to my library! I so need this book for inspiration!! This book is in my amazon wish list already! I would love a copy! This is awesome and just what I was looking for…If I don’t win I’ heading to the nearest book store to find a copy! This book looks fantastic! Just found your blog and am excite to read through it! I would love to win a copy of the book. The pudding looks great, certainly helped by the amazingly beautiful dishes you photographed it in. Any info on the dishes? I would love to win a copy of this book. What beautiful photography! It makes me want to eat the pudding, grow and eat the berries, buy or make my own beautiful pottery vessels. Delectable! I have already experimented with making my own butter, mayonnaise, bread, cheese, yogurt, and a dozen other things. However, I would love to have this book as a resource all in one location. I have been looking for a book that contains “real recipes”, you know,…the ones that taste like “memories”. Sounds like an awesome cookbook! This book sounds great! I also love those ceramic cups. They’re beautiful! Are they from a local artist? Or are they available somewhere online? Sounds wonderful, I went to amazon and look it up, I love it!! Great giveaway!! This book sounds fabulous! I would love to add it to my collection!! I’m sure the pudding is as tasty as your pictures are beautiful! This sounds like the best cookbook! This vanilla pudding looks amazing! Thanks for sharing. This book sounds amazing! It would be a great complement to one I already own: Make the Bread, Buy the Butter. Would love to win a copy of this book–the pictures are beautiful and I’ve only heard good things about it! This sounds wonderful! I’m trying to make more and more homemade dishes and this book would certainly help. The lasagna sounds delicious. I am trying to make more from scratch and would love to win a copy of this book! Thanks for the chance to win! It tells you how to make your own CREAM CHEESE? I’ve never even considered that you could make it! I would love a copy of this book to experiment with. My boyfriend and I are planning on doing a month of only eating things we’ve produced in our kitchen, including breads and condiments–this would be perfect! This book sounds amazing, I’d love to be able to try this for my family. I love the fact that she makes all of this for her family. I am sure mine would love them too. I am retired and very much into making good, healthy foods. I would love to have your book. It sounds wonderful. I added the book to my amazon wish list. Sounds great! Looks tasty! Thanks for the chance! Wow, this book looks awesome! I hope I win, although I’ve added the book to my wish list, just in case! I’ve been trying to cut down on what I buy and make more of my own, but it’s tough. Homemade vanilla pudding is the best. I love homemade chocolate pudding even more but the way it is portrayed in the photos, makes me ready to start whipping it up right now. This sounds like an excellent cookbook! Sweet recipe I have some vanilla beans that have been in a jar soaking for homemade vanilla extract waiting for somewhere to go when they are done. Thank you for the opportunity and great blog….. Thanks for doing a great giveaway. I’ve got my fingers crossed, that looks like a great book! MMM… Looks like a lot of great recipes! I came over from Food in Jars. I would love this book just for the granola bar recipe Marissa posted there! Yes, I’d love to win the book. It would definitely be something that my daughters and I could work on together in the kitchen. 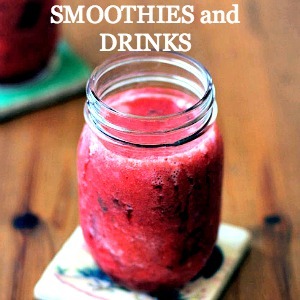 The healthier options in this book would be a huge step towards a healthier kitchen! Thanks so much for the giveaway opportunity. I love trying new approaches to different dishes-this book looks amazing. Would love to win a copy! Man, that pudding looks heavenly! I think we’ll make it this afternoon, yum! I’d love to win a copy of the book, it looks amazing! This book is right up my alley. I’ve always just made what others bought – this book would be tremendous inspiration! Ooo, this book looks like an awesome collection and a fun read! I love living out of my pantry–this book looks awesome! I’d love a copy myself! Thanks for the giveaway and the recipe looks fantastic, I can’t wait to try it! The pudding looks so simple! I’ve been looking for a fairly straightfoward pudding recipe. I’m going to have to try this. This cookbook looks fantastic! I love granola and I love being able to make things at home, that others normally would buy at the store. It makes me feel self-sufficient and back to “my roots”. Oh I would love to win a copy, it’s been such a long time since I had a new cookbook to devour, and I got a fortune cookie last week that said I was going to receive an unexpected gift. So there it is! This book looks like a kitchen must-have… if I don’t win, I’ll definitely be purchasing a copy soon! This is so up my alley and I am happy to have found you and added you to my blog list. While I do a lot of my own cooking/baking for snacks and treats – new recipes are always welcome!! A kitchen, isn’t a kitche, without a pantry! I do make a lot of my own staples (especially love homemade almond milk), but I am always in the market for new ideas. I am a very experimental cook, which has lead to some wonderful discoveries–roasted garlic maple whole grain mustard, for one. A must have book…crossing fingers! This sounds like a wonderful book, I have always wanted to try my hand at making cheese. I never mind making a mess in the kitchen! The book and the recipe look fabulous! Sounds like a lovely addition to my every growing library. I may have to buy it even is I don’t win! Ohhh…this book looks perfect for my kind of cooking! I would love to have this in my ktichen library! Yum! Love! Found you by way of Food in Jars. Can’t wait to see the rest of this book, it’s now on my list! This looks amazing, with the added blackberries – yum! looking at this pudding and the granola bar recipe that marisa highlighted, i am super excited for this book! I try to make everything I can from scratch and this would be a great addition to my cookbook collection! Pick me, Pick me! I would love to try out some of these wonderful goodies. How I would love to win a copy of this book…I have been cooking from scratch for nearly 50 years, and have NEVER tired of it…smile! Perhaps that is also why I am entranced by the personal “stories” that accompany recipes in both my files and in the files of other cooks…! Thank you for entering me in your contest, and I will keep my fingers crossed for the next week…!! Wow, looks like a great book. I’d love a copy to keep pushing on the make it from scratch mantra my wife and I are working. What an amazing giveaway! I would love to win a copy! Going to try this for the husband tomorrow night! Looks amazing, thank you for the recipe! That sounds like a delicious book I simply must add to my shelf! Read about this first on Food in Jars. I’m always happy to learn about new blogs! I too have been striving to make things at home that you would normally purchase. My rule- If you can’t make it at home you shouldn’t be putting it in your body. Cheetos have not been missed as much as I thought they would ;) especially when you have so many more rewarding things such as homemade cheeses and bread raised from wild yeast. Just might make this pudding tonight! Wish I had some raw milk though… I bet that was amazing! Having a “Homemade Pantry” took on a whole new meaning for me some years ago when the sad economy made me become someone I thought I would never be-among the unemployed…then it hit me…I would be more like my Grandma, and even try things she had never done. I have become a Canning Queen amongst my friends, and have a daughter who is equally as obsessed. We decided to step outside the box- we didn’t want to just preserve veggies, so we have done everything from my Italian spaghetti sauce, to Cincinnati Chili, all types of meat, and even use the foods we preserve as Christmas Gifts. I would LOVE one of these books, because we are always looking for new ideas. I am so proud of my Vanessa and her young friends for learning food preservation, and for keeping the tradition going. I am new to the home canning idea…..I’m trying to make healthy choices about my eating habits as well. This book sounds like a good learning tool. This recipe looks great, I’d love a copy of Alana’s book! Also, the mugs you’re serving the pudding in are really lovely. This book is a great “go to” book. There are so many recipes when it comes to making your own that it can sometimes be over whelming. This book would be great to have in the kitchen and not have to search around on the internet for recipes. wow. looks like a n incredible resource for my canning addicted self to get great use out of. 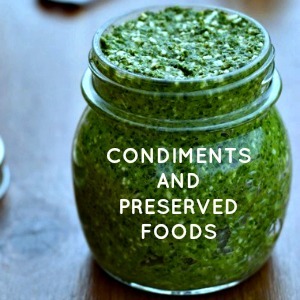 Beautiful blog too, I was sent here from “food in jars”. I would love to win a copy. By the way, I found my way here from Food in Jars. I’ll have to come here more often. I would be blessed to have this book. Homemade is so my way of doing things, all help with this is welcomed. Love you site! wonderful offer. love the pics of the pudding. the stoneware is beautiful! I am off to make the granola bars right now! I would love to see the whole cook book. Looks divine! I can’t wait to try out recipes from the new cookbook. I hope I win! This is exactly what I am trying to do right now. Learn how to make it instead of buying it with all the processed stuff in there. Yum! This cookbook looks fantastic. Just getting into making our own food. This book looks great. I love new cookbooks, and this one looks beautiful! Thanks for offering it! I am both an adventurous cook and one who likes to make better versions of foods I can buy. I started out with pickles, jams, etc. but have moved on to a whole lot of other foods that I not only save money on by making my own but I feel much better about the quality. I currently make my own yogurt & kefir (both milk- and water-kefir), soy milk, bread (in many different forms and styles), pickles, jams & jellies, liquers, syrups, and more. A lot of the canned food become gifts at Christmas, but I usually squirrel some away just for our use as well. I enjoy the blog! This book looks wonderful, the perfect addition to assist us with doing more from scratch! 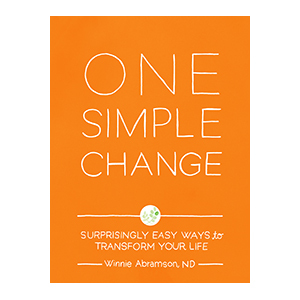 I just discovered her blog and would love to have a copy of her new book. Thanks for the chance to win! You had me from the word pudding—which I love but which seems to be beyond my abilities. This sounds like a wonderful book. The recipe looks wonderful, I never thought of making pudding from scratch! I’d love to win a copy of this. Mmmm…this book sounds wonderful! Thank you for the great recipes! I have had my eye on this amazing-looking book! Would love to win a copy! I love making things from scratch so this is right up my alley! That is mouthwatering! I’d love to win a copy of The Homemade Pantry, it sounds like there are some amazing recipes! Love the sounds of this book! Would love to add it to my ever growing shelf of cookbooks! I’m going to get to meet her at the from scratch club food swap on Sunday! I’d love to have a copy of the book. 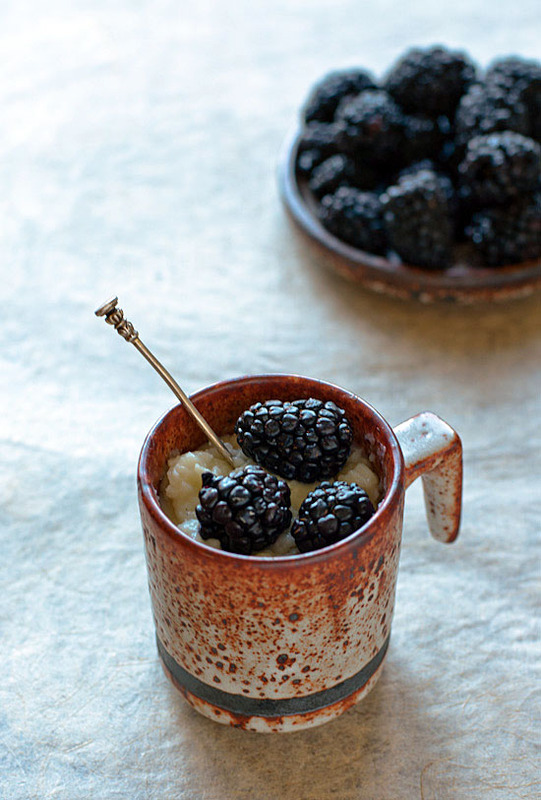 Vanilla and blackberries – my favorite! Oh man…craving berries now….and a book would be nice! mmmmm — these recipes sound really terrific! 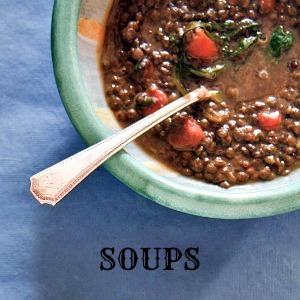 I love Eating From the Ground Up and would be thrilled to have a copy of her cookbook! Sounds like the perfect companion on my making good food from scratch journey. Would love to get my hands on a copy of this. Guess I’ll be hitting Amazon if I don’t win but here’s hoping. sounds like a wonderful & usefull book ! one to keep on the counter well used! I am so not good in the kitchen! It sounds like this book would teach me many things. Thanks for the vanilla pudding recipe , I was just looking for one, I’m wanting to make banana pudding with the wafers. I wonder if I leave out the bananas and use the berries …hmmmm… The book sounds intersting, Thanks again. This sounds just like the perfect thing to complete my daughter’s ‘pantry’. She lives in the Colorado mountains at 9000′ and keeps an awesome pantry full of things needed for the next several months thus saving much time and cutting out quick (never are they quick) trips to the store for an item or two. What a great give-away! I would just love to win this cookbook. A unique concept for a cookbook – homemade pantry. Spices and spice mixes are uber expensive — we don’t know what is in the processed food that we might be eating — “pink slime” in our ground beef — salmonella on our veggies – what next!!! Homemade is probably the only way to go to be safe and healthy these days. What a great site! What a great cookbook! I’m glad I found you both. This book looks amazing! I’ve slowly been transitioning my family over to whole food cooking and trying to make as much as possible from scratch. This would be a wonderful addition to my cookbooks. The book sounds divine – would love to proudly add to my tried and true collection on my ever burgeoning kitchen bookshelf! Wow, that books look great. Right up my style of cooking. Just found your fantastic blog! Please count me in. The cook book looks wonderful. I love to cook and bake from scratch. Thank you. I am really needing this book to add to the canning preserving books! The excerpts I have seen so far are awesome! Want want want that cookbook! Amazing! My mouth is watering just from reading your blog! This book looks wonderful; I’d love a chance to win! Thanks! Saw on Food in Jars and I’m sold! I want this! Would become a loved cookbook, I’m sure! This looks like a gem. Thanks for the review! The book looks incredible. I would love it! So interested in her tips on frozen pizza. Wow, this book looks great! Thanks for the chance to win it. how yummy! I love the spoon sunk into the pudding too. It looks like a piece of jewelry. I would love to have this book…thanks for offering it up. Would love to have a copy of this book — thanks for the opportunity. I would LOVE to win a copy of this book – thanks for the chance! And if I don’t win, well, my birthday is just around the corner and I am putting this book on my wish list! Would love a copy of this. Thanks for the opportunity! Back to basics, and keeping it simple. This look like a wonderful book. Thanks for sharing and keeping us informed! We learn something new everyday, as it should be. The book look fabulous and thanks for the giving us a great review of it! It is definitely going on my wish list. I would love this book! I love making things! I’ve been enjoying your blog for a while now. This book sounds lovely, and a great reminder that I need to make some time to make some of these pantry standards. I have really enjoyed reading and checking out the Healthy Green Kitchen. I love to make as much as possible from scratch and would like to check out Alana’s book! This book looks fabulous as does the vanilla pudding. Would lve a copy of the book. Making my own nut butters now: next on my list, making soy milk and almond milk. Thanks for the pudding recipe: I have a big jug of milk left over from house guests that I need to do something with. If I make the milk into a pudding it will disappear. I have now realized I have never made vanilla pudding, only chocolate – how strange. Thank you for sharing, the book sounds lovely. definitely going to try that recipe soon- so easy and pudding skin is the best part is it not!? thanks for sharing – I can not imagine a book like that not being well loved! Wow, all those recipes you describe sound wonderful! I would love to have this cookbook. We most recently tried home made beer battered shrimp that we pan fried. This book is going into my TBR. It looks fabulous. Definitely a kick in the rear to remember not to buy all the processed foods that I can actually make at home instead. I would love this book! I really want to start making specialty mustards & condiments to give out as gifts, so this would help. I also wanted to tell you that I love those cups you photographed the pudding in, the glazing is stunning! The pudding looks so delicious! I would love to win a copy of this wonderful book. The book looks amazing! Definitely going to try the pudding first! I love to make things from scratch for my family and this would be a fabulous addition to my cookbook library! This is a book I’m definitely getting one way or another. Just read Alana’s piece in Living with the recipe for toaster pastries. My kind of book! Thanks for the giveaway. I so want to try every recipe in this cookbook. I might never leave the kitchen again! I would love to add this to my cookbook stash to help my family eat more “real” foods! Thanks!! I’d love to win this! This looks like such a great book! Would totally love this book. It’s hard for an old dog like me to learn to make the things that I’ve been used to buying; but it’s also getting harder to read the tiny print of the ingredients on the packaging. I am drawn to this book everytime I visit the Tattered Cover bookstore here in Denver. However, I must contemplate my budget everytime and alas, I am still without. I just caress the book and daydream about being the suzy homemaker capable of creating her delectables! What a fantastic idea for a cookbook! Her blog is great and I’m happy to be introduced to it. Your photos are stunning, as always, Winnie! I definitely want to make this pudding. I was just looking at The Homemade Pantry at our local cookbook shop and added it to my wish list – I can see why you couldn’t put it down! This cookbook looks like it would be a great addition to any kitchen! 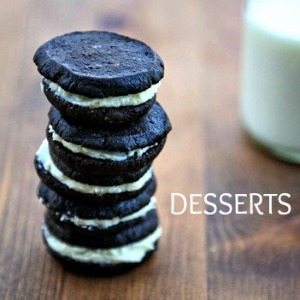 Dessert doesn’t get much simpler than this! Looks delicious. granola bars and pudding – both can be made gluten free with Alana’s recipes….oh this cookbook looks yummy! Just started getting turned on by using fresh produce to can and preserve. I love the concept of this book to show me how I can utilize other things in my home kitchen. Please enter me in the drawing… looks like the odds are getting bigger :(. sounds like a cook book I would love! Pudding…mmmmm. I need to make this. Mmmmmhhhhh……Pudding. I’m jealous that you found such nice berries! This book sounds perfect for me – like you I would read it cover to cover. I am always amazed at just how easy it is to make many of the things we buy – for example the pudding, which is 100% better if you make it at home! I’d love a copy of this great book! But I am enamored of your delightful pudding photos. 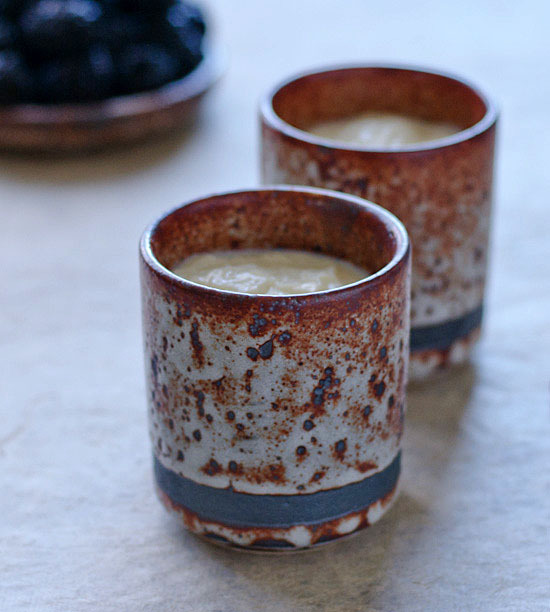 The stoneware mugs are irresistible! This looks like one of those “must have” cookbooks. 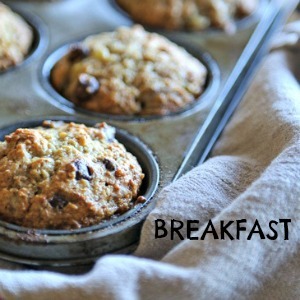 I love the granola bars over on Marisa’s Food in Jars blog. This pudding looks fantastic too. I would LOVE to win a copy of this cookbook! Due to some recent allergy discoveries, I have been making a lot more things from scratch than I used to. It would be so wonderful to experiment more with her recipes! I have been doing homemade for a long time. This would make a wonderful addition to my cookbook library. I love cookbooks, and this one looks top notch! Oooh this cookbook looks like a good one!! ooh, I would love to have a copy of this book!! Pick me please! lol…if I don’t win, I’m seriously going to think about buying it and I don’t buy many cookbooks! With so many of us are trying to incorporate only real foods and ingredients in our cooking, it’s nice to see a compilation of ideas like this! That puuding looks great, as does the book. Thanks for the opportunity to win one. food blogs and cook books are my secret indulgence! I am very interested in the cookbook, it sounds wonderful. Thank you for this drawing! I’ve been trying to make more things from scratch and get away from all the pre-processed stuff. This book sounds wonderful!. Thanks for the chance. Really interesting looking book – I definitely need to check it out! If I don’t win this drawing, I’m going to drop some serious hints for my upcoming birthday! Wow – that looks amazing!! If I don’t win it will definitely go on my gift idea list for my birthday!! Oh my! I’m thrilled (and hopeful!) about this giveaway! Thank you for offering such a wonderful gift!! Do include me!!! My iPhone will be dead by morning since i can’t quit reading these blogs. Sleep is overrated I guess….or maybe it was self control that’s overrated, lol! I have seen this book and it is awesome! I would absolutely love to win a copy! Thanks for the chance. I’ve just been browsing Alana’s blog and I’d love a copy of her book. I like her style – healthy homemade food with a dose of reality. I love that she’s a bit of a messy cook…not unlike myself. would love to win this cookbook. Thanks for the chance. This book looks amazing. Thanks for hosting! Definitely, I want to win a copy of the book. Thanks for this opportunity.. Really looks yummy!.. mmm, that pudding looks delicious! my kitchen and I would love a copy of this book! This book sounds amazing! I would love to win a copy. Lovely mugs for the pudding, btw. Sometimes a brilliant cookbook is all you need for the perfect inspiration. I love the idea of it being a story! I want to make granola bars. Pick me! This sounds like a PERFECT book for my bookshelf – though it sounds like it wouldn’t sit there much at all! This book sounds amazing! I have spent the last several months trying to be more self sufficient and trying to do without processed foods this book would be a great help. Thanks for the chance to win!!!! I am making pudding tonight looks great! The books looks amazing! As does your vanilla pudding! I made low-fat choc pudding this weekend, thanks to an older Cooks Country recipe. No lweird low-fat ingredients necessary (it actually calls for whole milk), I think they just call it that becuz there are no eggs to fatten things up. Actually, it’s pretty identical to your vanilla, plus 2 oz bittersweet choc and 3T cocoa. yum! This book encapsulates every ideal that I have for food! Please please please please please please pleeeeeeeeeeeeeeeaaaaaase! 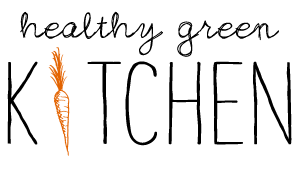 Just got introduced to your website, looking forward to discovering and making some of your delicious foods! It’s ironic that you would post her puding recipe as I turned on the computer looking for exactly that-a homemade pudding recipe. And there it is…Thanks! I usually don’t enter contests but after reading Marisa’s post and seeing how easy the recipes looked (my boys LOVE granola bars and I’m too chicken to try my hand at them) AND seeing your yummy post I figured why not give it a shot. I found your site on an evening of wonderful recipe reading and it sounds like The Homemade Pantry would be perfect for hours of reading and cooking! I have started looking for ways to make some of my own convenience foods–this book seems to be a great fit for that! this might be the next MUST HAVE cookbook! This sounds like a great book. If I don’t win, I’ll probably buy it anyway. :) Thans for the review and yummy recipe sample! This sounds like a cookbook for my collection! Sounds like a Winning Cookbook that I’d definitely make lots of use of! Ok… I’ve seen reviews of this book on a few sites. I’m going to hope for a giveaway win… but if not, I need to buy this AS FAST AS POSSIBLE. This cookbook is destined to be well-used and covered with splatters in my kitchen! This looks like a wonderful book! I would love the chance to thumb through a copy and try the recipies. I have just started cooking again…not for the kids (ummmmm….they are now 20somethings…Yipes! ), but for my sweetie and me. We need good, easy to prep foods that are not to expensive. Would love to win this book and give the recipes a go. Oh my! As others have commented, this book is going on my Amazon wish-list, and if I’m not fortunate enough to win a copy, I think I’ll buy one. It looks so good! I’m adding this book to my collection win or not! Looks awesome! Gotta make that pudding. This sounds like a great cookbook to add to my collection!!! I’d love to make homemade ricotta and cream cheese! Sounds like a great cookbook! Love this site. It would be so incredible to win a copy of this book! Looks like an incredible resource. Mmm pudding looks wonderful & the cookbook sounds like fun!! The book sounds amazing and the pudding looks great! Thanks for the giveaway! This pudding looks so good, and I love, love, love those dishes! ingredients is always a welcome addition on my bookshelf. this looks like a wonderful book. thanks for the chance to win it. Love it,going to add this to my offerings to the clients I Cook for,keep them comming,its a book I need to add to my collection,thank you. So excited about this cookbook! Oh my! Yes please, yes please! These look great recipes to have as part of our repitoire. Sounds like a book I MUST add to my collection! I just love the mugs you’ve placed the pudding in. Thanks for the giveaway. So excited for more real food recipes! Lovely book! Hope I win! I would just *love* to win! I would love to out these recipes! I’m not a great cook, or even an adventurous one, but I’m game to try! I am going to get a copy of this cookbook one way or another…hopefully by winning it here! Can’t wait to make the granola bar recipe! I need this book. I was embarrassed last night because we were watching a cooking show and I was the only one who had ever seen a vanilla bean before. I have work to do here! Every day I hear more positive comments about this book! Oooo I want one! This one is on my list: it looks very special. Big congrats to Alana! This one is on my wishlist already! Would looooooove love love it! I hope I win! The book sounds wonderful. Oh. My. I’ve heard rave reviews of the book. Thank you so much for the opportunity to win a copy. Woo hoo! I love your blog and would love a cookbook! I am still using some of my mother’s canning equipment and I smile and cry at the same time when remembering all the canning she did for our family. Thanks for the chance to win. What a fabulous giveaway! I plan on purchasing this book if I don’t win. I’m with Jessica, above. Sounds like the kind of book I’d read, and cook, cover to cover. And what a lovely blog you have, too. I love your website! Your photography is beautiful! I would like to be entered in the giveaway for Alana’s book. Blessings from Bama! Ugh! This pudding looks so good! I’m definitely going to be making this as soon as I can! I love anything vanilla and I love pudding topped with fresh berries, too! This looks like an amazing cookbook–I would love to win it! This book sounds fascinating and wonderful! I am guilty of being a lazy cook and buying everything possible. I should really be making more of almost everything from scratch! Would love a copy of this book. And I want vanilla pudding. I have only made chocolate and coffee but vanilla pudding does sound perfect with blackberries or any summer berries! Beautiful photos! THIS! 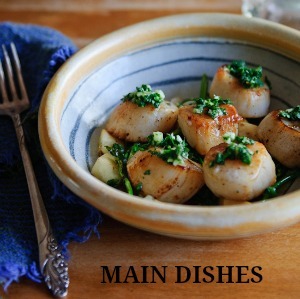 I love this blog and totally want this cookbook. What an amazing concept for a book! I’ve been making an effort to buy fewer processed foods and make as much as I can myself, and this would be a welcome addition to my library! Would love a copy, have just wishlisted it. Sounds like a great resource and every bit of good advice helps. Thank you for the blog and wonderful recipes too! Oh Wow. Sounds like a really great cookbook. your blog is beautiful… and the recipe is lovely… i would love a copy of the book.. Looking forward to reading this awesome new book! I want this book! I have a eleven month old baby boy that I want to make more food for instead of buying so much junk from the store. This book seems like it would help me do that. What a great-sounding book! I’d love to explore it at my leisure!! I am in love with this book and I already make most of our food instead of buying packaged. Thanks for sharing this and I’m so glad I found your blog. Was about to buy the book, but maybe I’ll try to win it first! That recipe sounds delicious. I love that there isn’t a ton of sugar in it. I’d love to see what other new recipes are in that cookbook! What’s not to love? Life is hard and if you can give someone help, peace,pleasure why not? I am intrigued by your violet jelly. I would love to make it, I am 78 y/o & still love to make jellies & jams. I am intrigued by your violet jelly. I am 78 y/o & still love to make jellies & jams, what a “free” find. I am intrigued by your recipe with violets in jelly. I am 78 y/o & still love to make jams & jellies. I would love to win your book. Hi, I am an older single lady about to embark on the adventure of a lifetime. I am in the process of redoing my life and my home in order to adopt a family of 12 children and to bring thier grandmother with us if she is willing to move away from the cold north to the milder weather of Oklahoma. I have always wanted to adopt and now that is possible. We will be raising a lot of our own food including meat so I am looking for new wonderful recipies that will make the kids come running when the dinner bell is rung. I love canning and cooking and hope to teach the kids how to put up thier own food and to be proud and indepent people. Just this sampling of the recipes in this book have convinced me that I must have it as soon as I have money for something for myself. It would be wonderful to win a copy so the kids could browse through it. I go to bed exausted at night pictureing the kids in my mind a smile on my face and figureing out the next move in this wonderful adventure and life changeing experience. Yay! I’ve been trying to do this piecemeal for a while now, but to have a book with so many great recipes all in one place…that would possibly be heaven…or at least a lot of help!